In the gallery below you’ll see a selection of some of Jonah’s favorite installations of his work, both from his inventory and also custom commission pieces. Since he began selling his work in the late 2000s, Jonah has been asked by clients to create some very special, custom pieces of artwork using his unique processes. Jonah has even used his glass-burning technique on wine barrels, dining room tables and even cutting boards. Jonah has also created works based on environment and/or space. His most notable commissions have been for the Cocina Del Mar restaurant at Esperanza, An Auberge Resort in Cabo San Lucas, Mexico and The Restaurant at Meadowood in Napa, California. I was contacted by LMK Interiors in Lafayette to fill a dining room wall in this Mediterranean home in Danville. We settled on this glass burned panel triptych made from Ash. The dark lines in the light wood tied together with the dark furniture nicely . 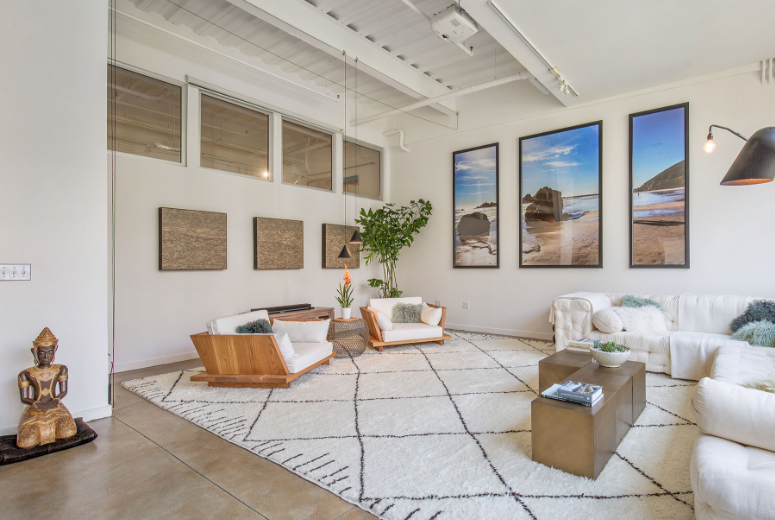 A couple in San Francisco had this large wall to fill and decided on three large wasp nest Textured 'Paintings'. The art pulled all of the natural colors of the furniture in the room and worked great with the room's symmetry. Within the same loft as the previous photo, the homeowners selected this Textured ‘Painting’ made of madrone bark to add a pop of color and contrast to the large concrete wall opposite their dining space. Within the same loft as the previous two photos, the homeowners also chose this glass burned panel triptych made of African mahogany dining space. Originally this piece was meant to go horizontal, but the client wanted something to go vertical to fit that narrow space. I teamed up with the Lizette Marie Interior Design team out of San Francisco to create this custom glass-burned panel for their client's living space. Final install went very smooth and the client was all smiles! This commission on maple wood was created for a client who was renovating a loft in the Clocktower building in San Francisco. Filled the space nicely! Two 4' x 4' Textured 'Paintings' made from the bark of the madrone tree. Now a permanent addition to the private dining room at The Restaurant at Meadowood, Napa, California. This wasn't a commission, but a piece from my existing inventory. 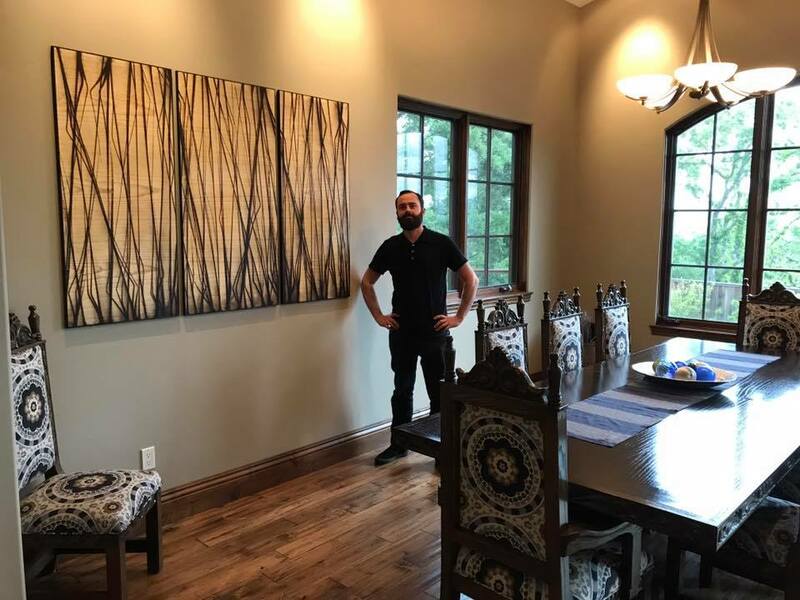 After trying several pieces in this newly remodeled kitchen above the banquette seating, the client settled on this diptych panel made of beautiful camaru wood. The color added a pop of color to the gray palette of the room. A custom piece I called The Nine for Cocina Del Mar, the main restaurant at Esperanza, An Auberge Resort in Cabo San Lucas Mexico. This piece is attached to a curved wall outside facing the Sea of Cortez and the burned lines echo the flora of the sea. One of two Textured 'Paintings' made from wasp nest paper. Now a permanent addition to the main dining room at The Restaurant at Meadowood, Napa, California. This commission made of canary wood pulled in all of the various wood colors throughout this mid-century craftsman home. 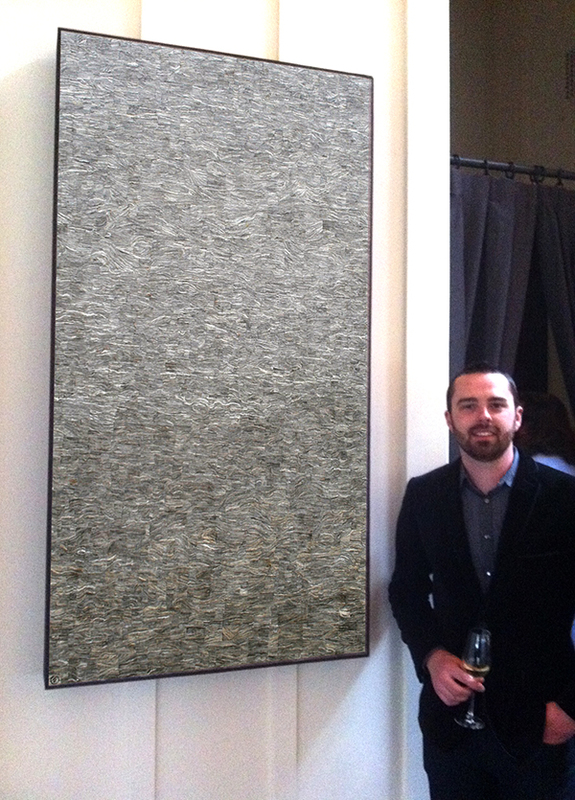 A triptych of Textured 'Paintings' made from wasp nest paper commissioned for a client in San Francisco." I burned this reclaimed barn wood table for a winemaker in Napa, CA using molten glass. The idea was to create a custom, one-off piece that invokes the feeling of an expansive vineyard with distant rolling hills on the horizon.